In my opinion the decision to introduce this sign was a dereliction of duty by The Minister for Transport, Tourism and Sport, Leo Varadkar TD, who launched the new sign on 19 March 2015. It is in itself a misdemeanour, especially when one considers that most towns have an inner speed limit of 30km/h. This could easily have been made common for all local roads which in a lot of instances are very narrow with blind bends and are frequented by pedestrians and farmers moving animals. The speed limits on the edges of some towns are bad enough already, when on leaving a town's outskirts with a 50km/H limit and on approaching a roundabout the speed limit goes up to 60km/h! If common sense were applied it would stay the same or even go down. Once again we shall be made a laughing stock by the rest of the world for the lack of professional comprehension by our political leaders! The other day a small package arrived in our letter box. 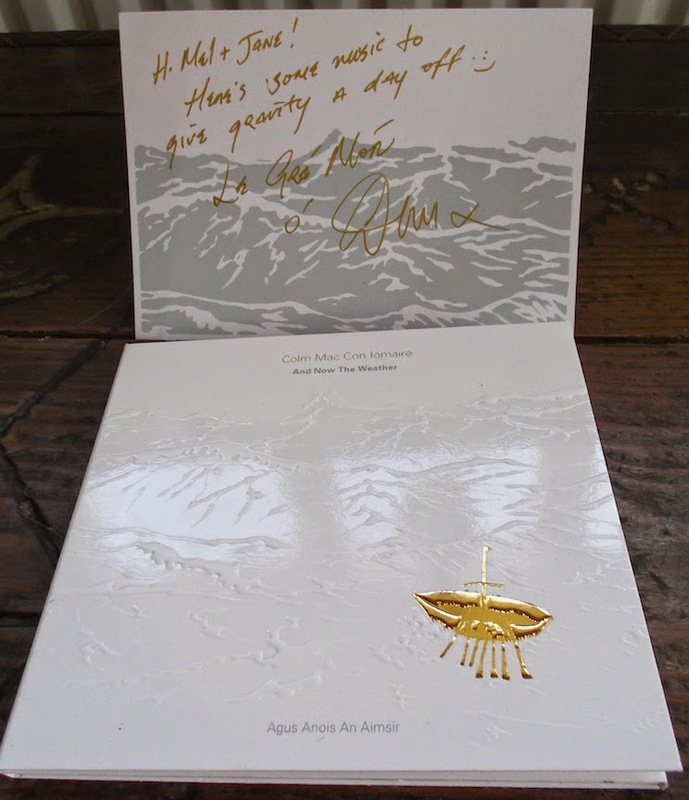 I could say that it was a surprise but that is not strictly true for a good friend gave me fair warning to expect a copy of his latest CD in the post. 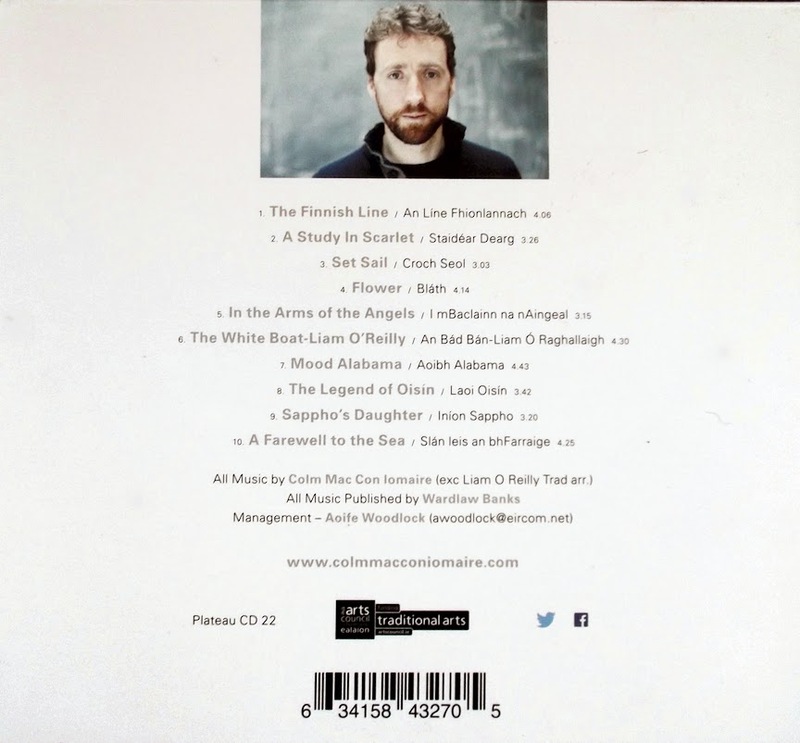 Colm Mac Con Iomaire's new album "And Now The Weather" which I can best describe as a medley of melodies whereby the tidal movements of the Celtic Sea carry the listener to experience audible depths of beauty that stir the emotions. The CD comes in no ordinary packaging for it is well designed and tactile. One can feel and see the waves of the sea on the cover. The golden image of a boat was inspired by the one the found in the Broighter Hoard, Co. Derry and it is considered to be a votive offering to Manannán Mac Lír, the sea god. with two small gold discs similar to a pair discovered in the roots of a tree at Tedavnet in Co. Monaghan and dated as Early Bronze age. Under the CD lies a surprise for there is a large gold disc created by the covers' designer, artist Sheila Mac Nally. "Agus Anois An Aimsir - And Now The Weather" is truly a delight both musically and visually. It is really good to be asked to do something which you enjoy and watch a project go forward to become a success. 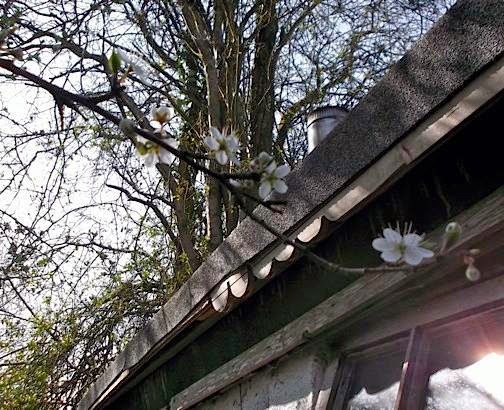 I was asked by Dr. Jenny Butler, a Folklorist at UCC, if I and my druid grove would be interested in taking part in a documentary film that Tile Films of Dublin were proposing to make. I sounded out the members of the Owl Grove for their views and a majority decision was made so we contacted the film company. About a month before the filming was to start two members were unable to take part. 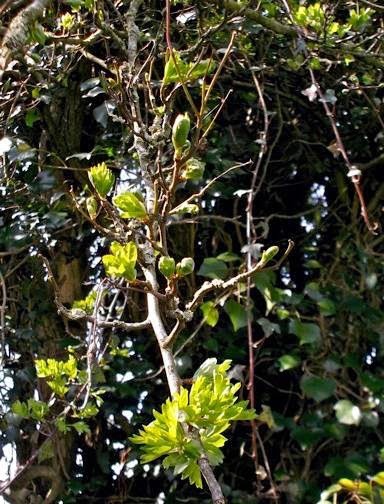 As I had set the number at twelve participants I approached an old friend of mine from years back who was living down in Co. Waterford, as I knew she was a druid. Fortunately for me she agreed to take part and bring along one of her sons who is a fluent Irish scholar. The rest is history. 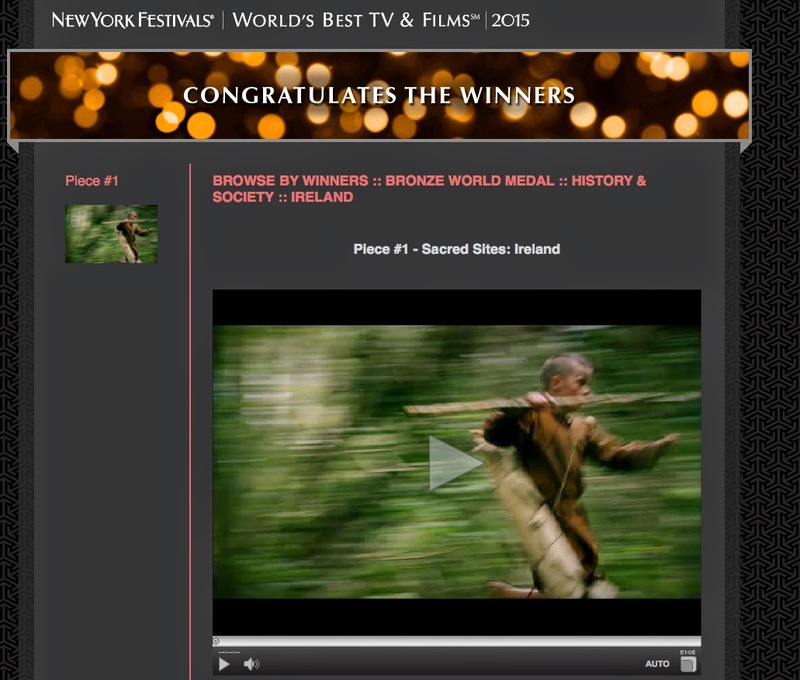 Tile Films who were awarded a Bronze World Medal for their 45 minute documentary film Sacred Sites: Ireland. 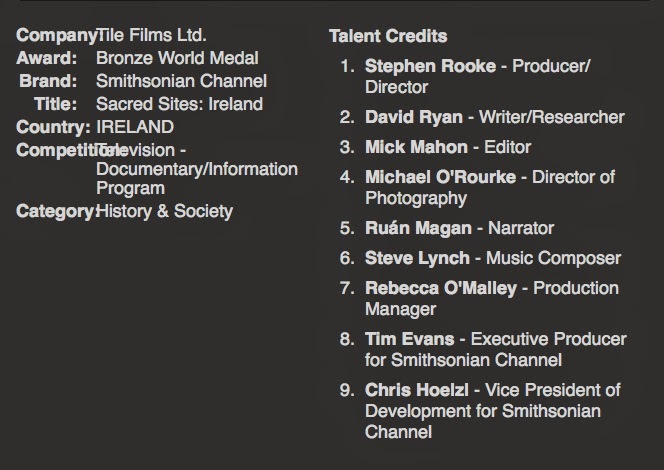 Not only is it a great achievement for Tile Films, based in Dublin, it is also great for Ireland. Áine-Maire, Claire, Colin, Flynn, Fred, Jane, Majella, Mel, Patsy, Rita, Siobhán and Vinnie. years at least and possibly longer. meant it was now seriously attached to the hedge. where I am not doing much manual work and I do like to smoke my pipe and review the progress and what needs to be done. Actually there’s nothing new in that as frequent breaks are also customary to my character! noticing as I did so a line of blue smoke rising from the motor.
" Oh B***ger it’s effin' Banjaxed !" I said quietly to my self. drastically slowed to almost nil. Well at least the gate is now fully operational. 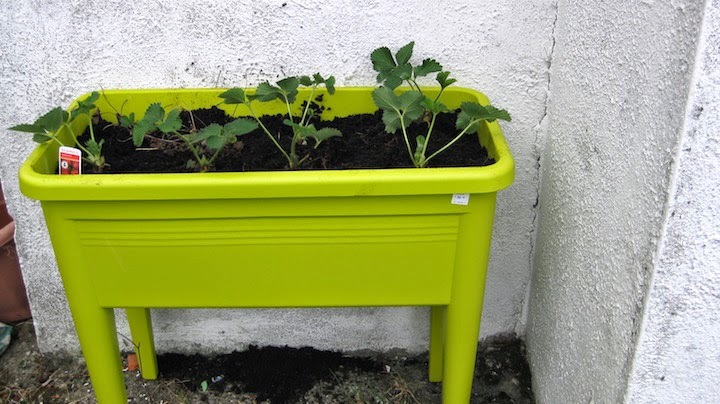 We live in hope that the fruit of these strawberries will tingle our paletes. 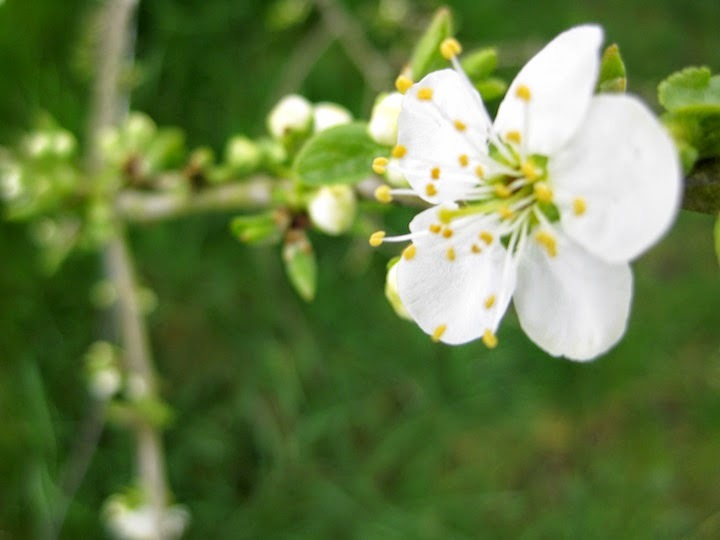 Plum tree blossoms for the first time. for an item which I see as useful. I bought it and installed it yesterday. outside at 8.1pm last night. out of sight and free from being interfered with by rambling fingers or wayward feet. Following the advice of a friend I have relocated the sensor to a void within the inside of the wing as it gives a more accurate reading and is not effected by the heat from the sun. FIRE WARNING - What ? Fire warning issued for rural areas. 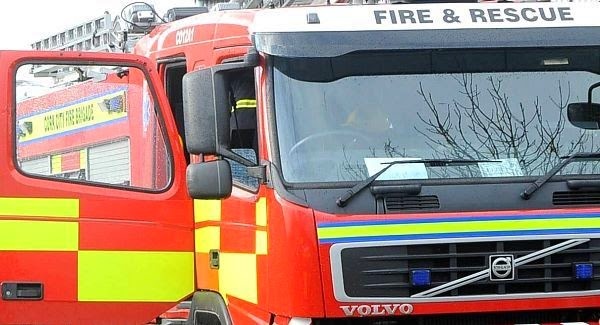 A warning has been issued by the Fire Service and Bord na Mona on the risk of fires in the countryside this weekend. The organisations said the chance of fire is much greater at Bank Holiday weekends as there are more people enjoying outdoor activities. Bord na Mona is urging people not to light fires outdoors and to dispose of cigarettes in a safe way. 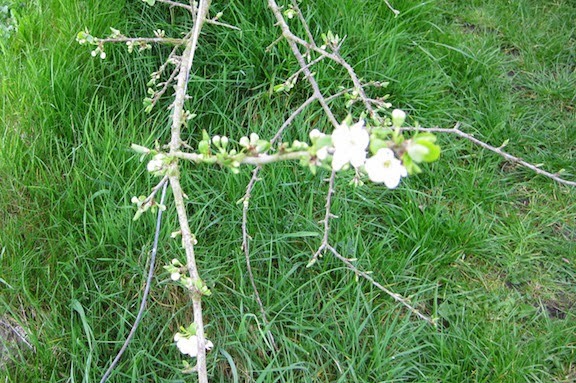 It is not as if we have had a hot dry winter followed by a rainless Spring. Yesterday I noticed ponding on the sides of the roads as water from the fields was spilling out on to the highways. The bogs too must be inundated, peat is known for water retention and therefore I can only assume that the moron who issued the publication of this notice has yet to go out and walk in the countryside.